Currently in the game market are many intellectual games such as Candy Crush Saga or Soda, …. are highly rated by users and quite great puzzles. The game is simple and quite classic but not missing the puzzle element. 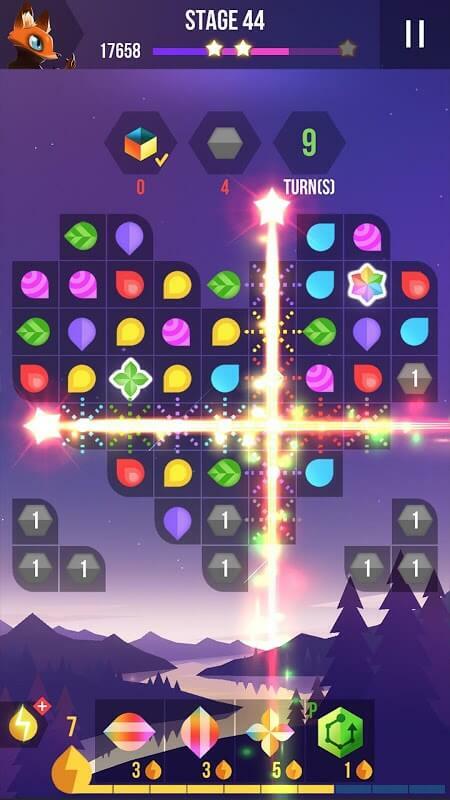 Think of the trip to match 3 candies up together and to meet the requirements of each game. 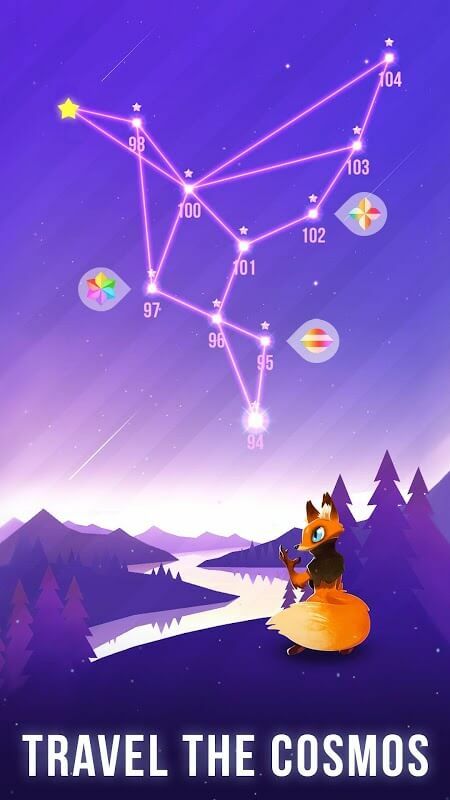 As the game progresses, it becomes even more difficult for the player to gain the good fortune and the thought of completing the game’s goal. And now, I would like to introduce you to the game “Cosmo Duel” has a law playing “slightly” similar to Candy Crush. Cosmo Duel is a simple match-3 game, set in space. Firstly, regarding playing, you have to match 3 or more of the same colors. This game is quite familiar to you right now. The gameplay is quite simple but has pleased many gamers for many years. I’m sure Cosmo Duel will also make you happy. 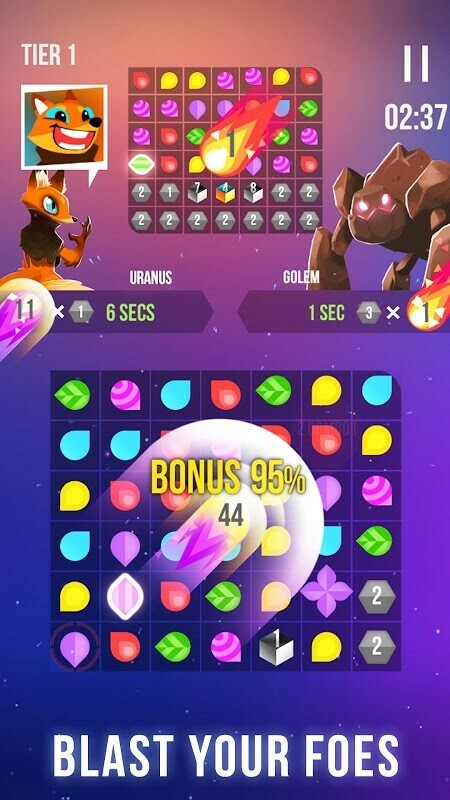 Secondly, concerning gameplay mode, as mentioned above, Cosmo Duel has a similarity to Candy Crush at some point as you will have to overcome many membranes and have to perform the task of each of them. As the work becomes more and more difficult, you must mobilize your concentration to complete the task. But that’s just the analogy with Candy Crush; Cosmo Duel has a difference in Cosmo Duel with two modes: Cosmo Mode and Duel Mode. As well as the name of this game, in addition to you have to cross the stage and complete the task of that stage, you have to join the duel with other opponents. The goal of this mode is as follows; you have to “destroy” the opponent’s area of ​​play with the “purple” meteoric, you will win. 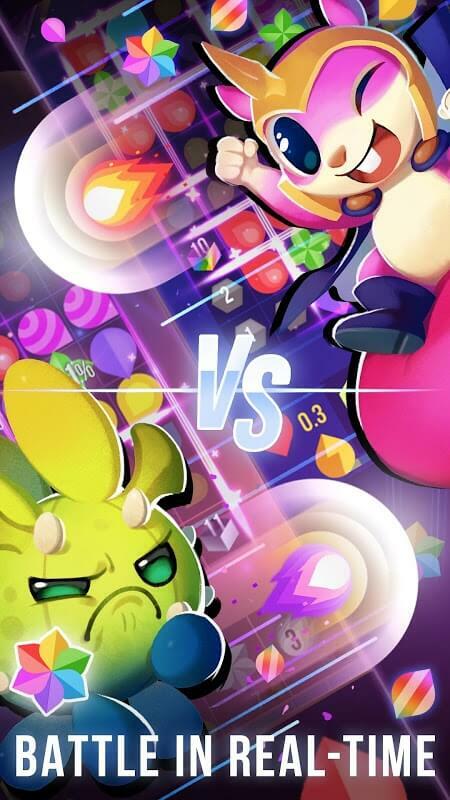 Earn more purple meteors, you will have the base to break more cells of the opponent, and the odds will be higher. And the opponent here may be a BOT, his friend or rival in this gaming world. Build your strategy for a better adventure! Third, on the game interface, the interface is designed primarily with the image of the universe. Quite fanciful and sparkling. Traditional gameplay and lightweight interface, so when we experience the game, we will see somewhat comfortable. You can explore the universe through simple gameplay. And also, to match the attractive interface, the manufacturer has created a navigator guide to play for you is an alien driving a UFO. It would not be too scared to have too many canines or tentacles, but just a cute alien sitting in a UFO. Everything is designed to make you feel comfortable playing the game as well as the experience. And since the game is only 89 MB in size, it does not require a very high profile or too much memory to hold the game. 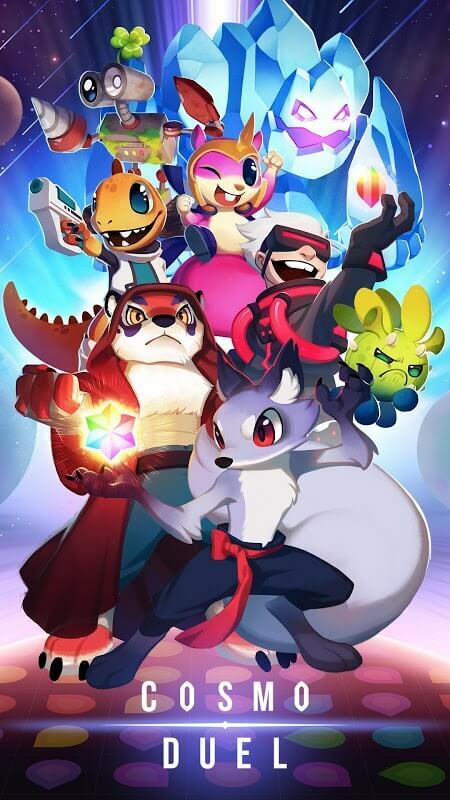 Certainly, from the above criteria, it has convinced you part of a game worth to download right. Let the navigator experience the most beautiful and interesting things in the universe. Create a strategy and defeat your opponent. It will definitely make you less stressed. See you in the next game.